more information about — Organix Inc.
PowerPlant™ is the Northwest's most consistent and yet most versatile soil amendment. 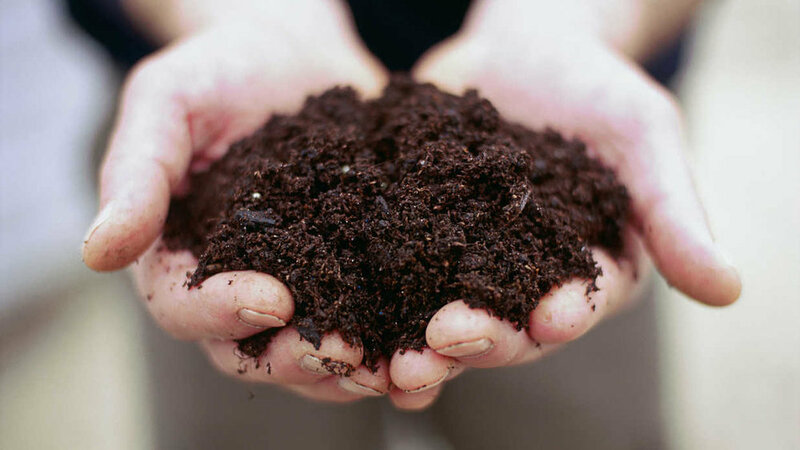 A residual byproduct of the dairy farming, PowerPlant™ is true compost. Manure-based feedstocks are generated and transported by the effluent flush network at the dairy used for rinsing alleyways, lots and barns. This process homogenizes the material before it is separated from the liquid through a screening procedure. The nutrient rich base is then placed in windrows on the on-site compost facility-where it is monitored for moisture and temperature. All material is required to reach 135 degrees for over 30 days to meet EPA composting rules and insure destruction of any possible errant weed seeds or pathogens. Regular testing helps to monitor NPK values, carbon to nitrogen ratios, pH and salt levels. After 16 weeks of processing, the compost is stockpiled for a short time to cure. Finally, finished PowerPlant™ is loaded onto a truck and ready to be used in your lawn or garden. The following is a coverage guide for compost applied 2” & 4” deep. PowerPlant™ is produced at the several compost facilities located in Yakima County, Washington. Organix is working diligently with milk producers to achieve significant public benefits through rural economic development, sustainable farming ethics and long-term environmental conservation. Properly managed dairy residuals are now being used for energy production, organic crop fertilizer, mine remediation, animal bedding and landscape supply.